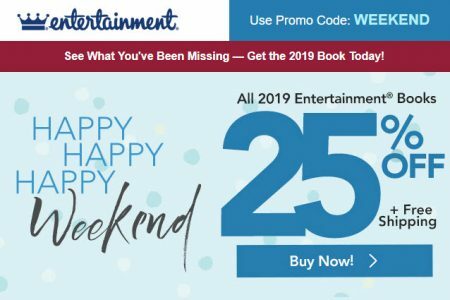 For a limited time, Entertainment.com is offering 25% off all 2019 Coupon Books + Free Shipping when you enter promo code WEEKEND at checkout. The sale is available online-only from November 1-4, 2018. Note: Prices on Entertainment.com are in USD.